Aware of the importance of food safety to consumers, product quality control and assurance are the top of our concern in every activity of production and strictly complied from senior management to workers. Customer satisfaction brings happiness to producer is our goal in production. 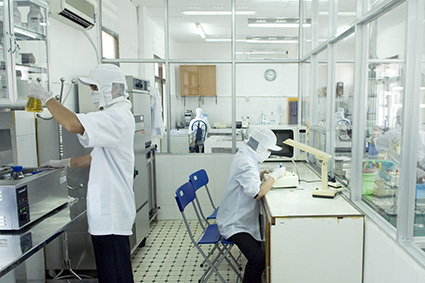 The Laboratory is built inside the factory able to test and analyse criteria in Quality management from raw material purchasing, daily production and final product before shipment. All processing plants are strictly controlled sanitary condition and quality management under regulation of National Agro – Forestry – Fisheries – Quality Assurance Department (NAFIQAD) in compliance with EU’s to be approved for export to Europe. 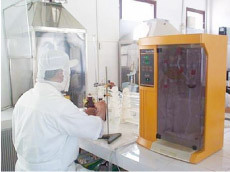 Each product is processed under Hazard Analysis of Critical Control Point program. We are also accredited by TUV for ISO 9001: 2008 and BRC.